band. 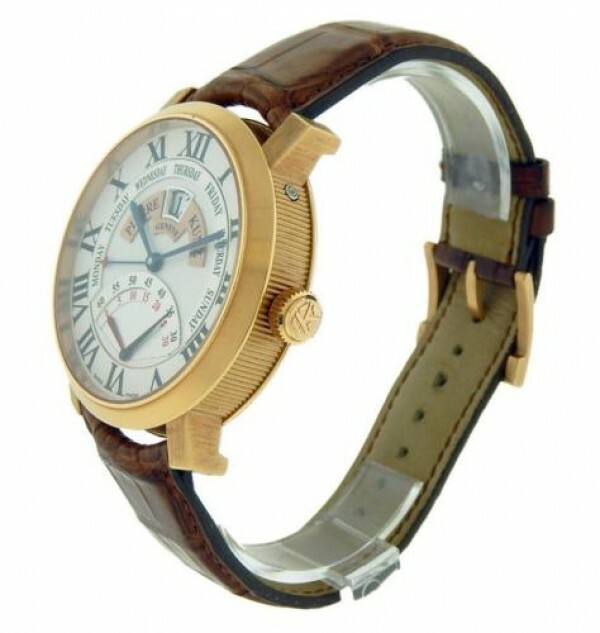 Watch offers you a White Dial with Silver Accents and displays Time, Day, Date, and Second Counter in Retrograde. Watch is in great condition showing light usage on the strap. Watch comes with box and papers. Watch makes a great gift. Wear it in great health. 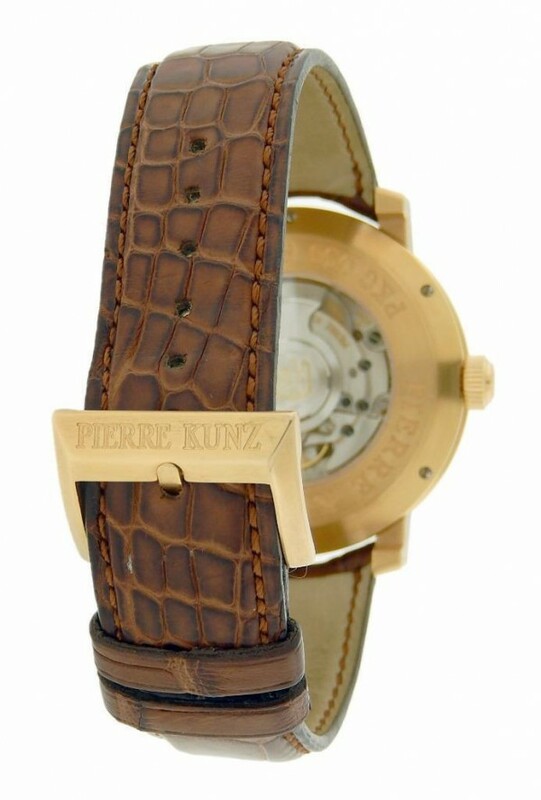 Own this beautiful Pierre Kunz watch and enjoy this Rose Gold case and tang buckle on brown leather band. 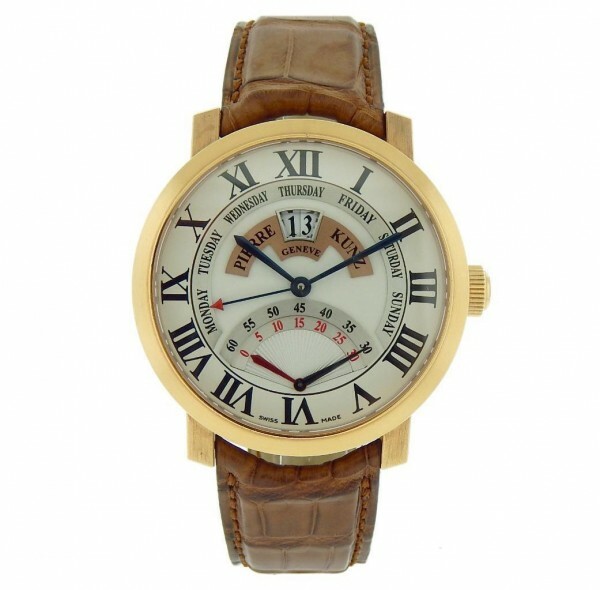 Watch offers you a White Dial with Silver Accents and displays Time, Day, Date, and Second Counter in Retrograde. Watch is in great condition showing light usage on the strap. Watch comes with box and papers. Watch makes a great gift. Wear it in great health.